"There are eight million stories in The Naked City, and this was one of them." The narrator who spoke these indelible words at the close of the film also happened to be the movie's producer, Mark Hellinger. As producers go, Hellinger is responsible for two of Film Noir's founding films: The Killers and The Naked City. The Killers is far more recognizable as a Noir film because it has all the elements that are now cliché: the bulldog gumshoe hot on the trail of a murderer, deceptions and double-crosses to fill a fedora to overflowing, a naïve young down-and-outer desperate to "be somebody" but who only ends up paying the ultimate price for his dreams, and a gorgeous femme fatale whose looks are like that special brand of poison that tastes so sweet to a man he can never tell when he's had enough...until he's dead. But The Naked City is no slouch when it comes to being a Film Noir classic. Released in 1948, it exhibits a character all its own amongst its Noir brethren. It doesn't have much of the hallmark snappy patter as a movie like The Big Sleep, nor does it have the stark high-contrast photography of The Killers but it introduces us to a whole new concept in the Noir genre: setting as character. The naked city is, in fact, New York City and the way the filmmakers (particularly the Director of Photography - William Daniels) captured its essence is remarkable. Every passing car, every deep shot of a bridge, every denizen pounding the pavement filled the frame as only a leading actor could. Consider the opening frames of The Asphalt Jungle as we're drawn into the city's dark heart, brick by dilapidated brick. Another interesting use of setting as character can be found in Rocky as the streets of Philly open up to reveal a diamond in the rough. 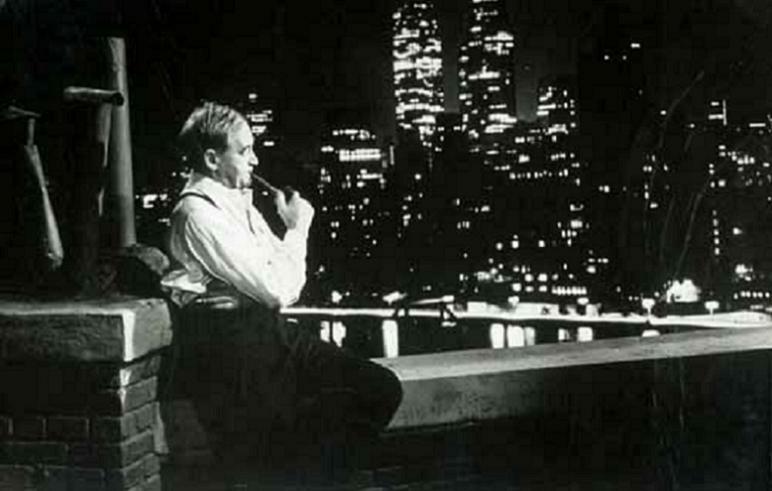 The film is also remarkably poignant, despite some of its obvious time-stamping (in one scene, the film's lead, Barry Fitzgerald, is positively flabbergasted that a person could spend a whole fifty dollars on one night on the town!). After all, it is about a homicide, and the value of a human life is ultimately esteemed as a mother weeps for her dead child. As she weeps she cries out, "If only she was born ugly!" intimating that the naked city exploits and corrupts that which is beautiful and precious to us. The interesting thing about this is that concrete and steel do not a city make. It's the people who inhabit the city that gives it its character and moral value. What does it say about us when a beautiful young girl is murdered (drowned in her own bathtub) and her killer walks the streets unpunished and, more to the point, unnoticed? The cops, of course, have absolutely no faults. They live happy and productive lives as upstanding citizens bringing law and order to a sprawling, lawless city. This is in stark contrast to the crooks, who are filled with foibles. One's a ne'er do well, a liar, and a cheat who comes from a well-pedigreed family, another is a white collar professional who looks and acts like a pillar of the community but is actually depraved to the point of vice and betrayal, and still another is a drunkard so overwhelmed with guilt that his partner murders him to keep him quiet. Human nature was never so, well, naked than in this film. But does it stand the test of time? That's a tough question not easily answered with a resounding "yes" or "no". As mentioned before, the police are paragons of good who, by their sheer aura of justice, will conquer evil and restore the world to rights. They are tireless - needing neither sleep nor food - are kind and courteous to all, and exhibit a kind of professionalism that can only be found in robots. Yes, they're terminators. And, of course, they always get their man (it's 1948, what did you expect?). This sort of thing is trite and passé, to say the least, but can you blame them? If you showed The Bad Lieutenant to a 1948 audience you would've been arrested if not mobbed to death. So in one sense, "no". And yet its themes of human fragility and weakness are still compelling. At the end of the film I found myself wondering what choices led me to where I am today as opposed to where I could have ended up. As the young murder victim is swept up (literally) as yesterday's news by the end of the film and the narrator says those immortal lines, "There are eight million stories in the Naked City, and this was one of them," the cold reality of mankind's smallness comes into sharp focus - the essence of Noir.